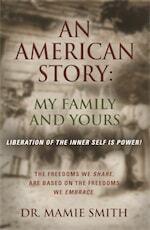 This book tells how the author set out to uncover the impact slavery had on her family, but discovered that one family's enslavement alters the freedom of every family. This book emerged from a person's desire to leave a legacy for future generations, and in doing so, enable them to define their identity, underscore their birthright and enlarge their posterity. It will reach into the annals of history and discover mothers, fathers, grandfathers, grandmothers, sister and brothers who removed the branches of poverty, unwound the threads of discrimination and paved the way to success. Briefly, the first chapter highlights the origin of slavery in America, its progression, slave resistance, and the political machine that guided slavery from forced labor, to forced labor generated by racism, greed and prejudice. The following chapters reveal the author's ever-expanding understanding of slavery and the American slave—a view that says, "I am proud of my ancestry and recognize that the success each African American enjoys in this country today, originated from the courage, strength and bravery of the slave of yesterday." This knowledge is freedom—freedom from guilt, fear, shame and a "less than" mentality slavery sought to inflict on us. The last thirteen chapters are reflections and recollections by the author of her thirteen siblings, their actions and interactions with American culture and society. I have no doubt that this book will be phenomenal just because Mamie's fingerprints are all over it. She traces her family's history ... to the 1830's because she was compelled to learn who she is. Thank you Mamie for tackling this topic. It is not an easy task to pursue. Dr. Mamie Smith is an author, radio talk show host, inspirational speaker, teacher, business woman and musician. She writes on numerous online social media sites, has established her own network UnfoldingofaRose.Com and blog Open Thought. Smith lives in Michigan, is a widow and has two sons.